Take wheat flour, salt and oil in a bowl and mix well. 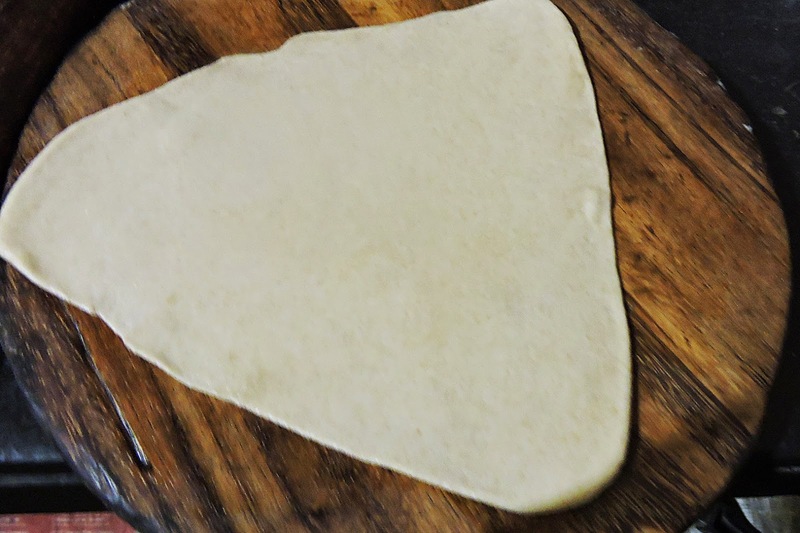 Add water little by little and make a soft pliable dough similar to the dough we make for chapatis. It should not be hard or too soft. Keep it aside for an hour. Make equal lemon-sized balls out of the dough. 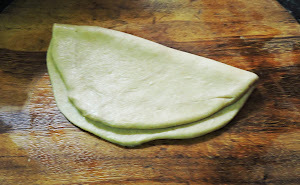 Using a little flour for dusting, roll out each ball of dough into a small circle. Add a few drops of oil on the surface and spread evenly, fold it into a semicircle. 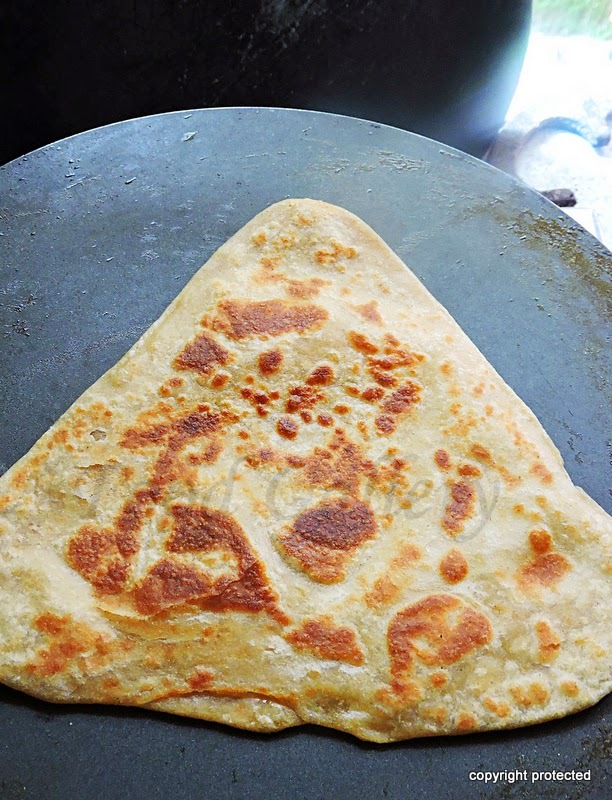 Apply a little oil and spread evenly and fold it again to form a triangle. 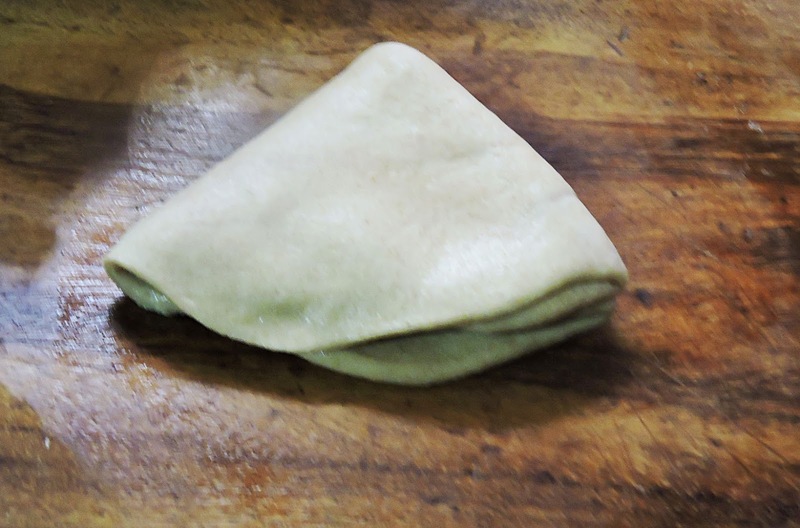 Roll out the triangle gently to desired thickness. Dust a little flour if it sticks to the board. Heat a tawa and add the triangle roti on it. Once bubbles start appearing, add a little oil on top and spread evenly. 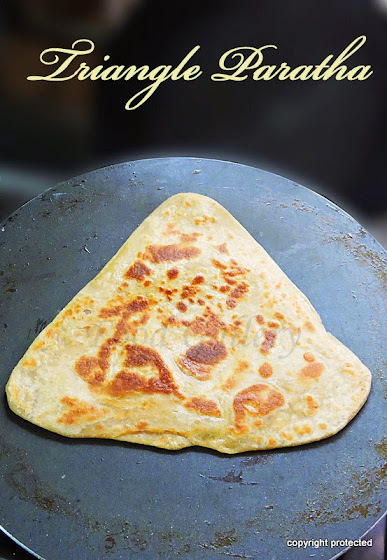 Flip the roti to the other side and apply a little oil. Cook both the sides well until brown spots start appearing and remove onto a plate. Repeat the process for the rest of the dough. 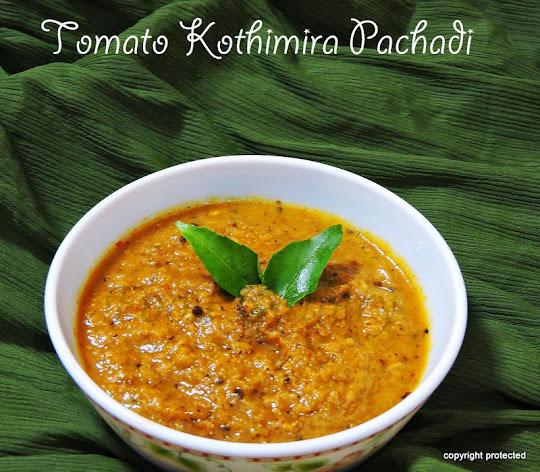 Serve with any pickle, plain curd or gravy of your choice.